Following a roundtable discussion between civil society organsations and journalists about corruption and transparency in the healthcare sectors, the Balkan Investigative Reporting Network in Albania (BIRN Albania) is opening a call for investigative stories. The call is part of the project called ‘Transparency on Healthcare through data and investigative journalism’, a project supported by the United States Development Agency, USAID. 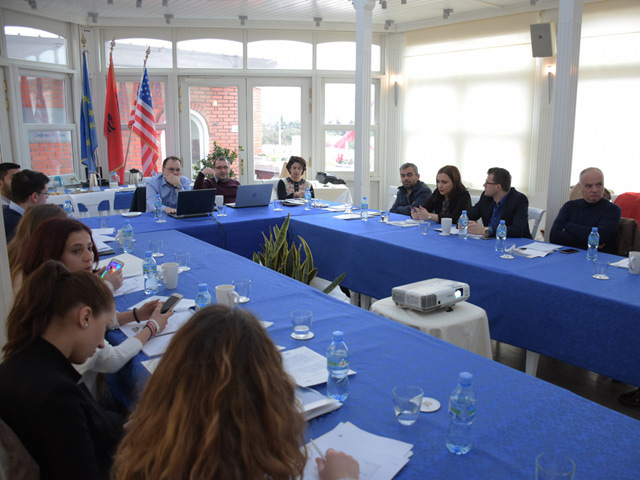 Three journalists will be awarded grants to cover their expenses while doing investigations and writing stories on a wide range of healthcare topics which emerged from the roundtable discussion between journalists and civil society on May 3 in Tirana. The journalists will have about three months to dig deeper and research their ideas, and will also have the opportunity to work with experienced editors as mentors to guide them through the process of writing to BIRN’s standards. The call only applies to journalists from Albania and closes on June 3, 2018. Click here (in Albanian) to download application.